Though I’m great with money, there has been one thing that has been my achilles heel for years: saying no in social situations. I don’t really budget (see: the non-budget, budget) and I rely on spending mindfully. But that mindful spending goes out the window when I want to see my friends. 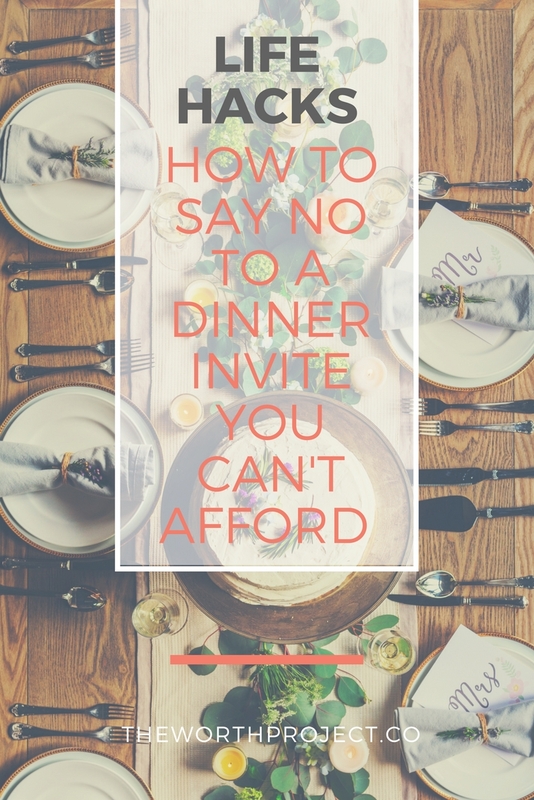 Whether it’s going out to the best (and most expensive) new restaurant, going on a shopping date with a girlfriend, or booking a vacation with your nearest and dearest friends, saying no can be painful. So painful, that I’ve said ‘yes’ and regretted it too many times to count. Peer pressure is real, people! I used to either make-up excuses (“Oh I’m busy when you’re going out to [insert name of that crazy expensive restaurant here], but I can meet for a drink after”), or just say yes and be angry at myself for a full week after. And telling someone that something “wasn’t in my budget”, is totally reasonable but for some reason, I couldn’t get myself to say it. Luckily for me, I found a phrase that works for me. It’s easy to say and mentally makes me feel better than thinking I can’t afford something. It’s so simple that I’m sad it took me so long to find it. You guys. I feel better already just by typing this out. 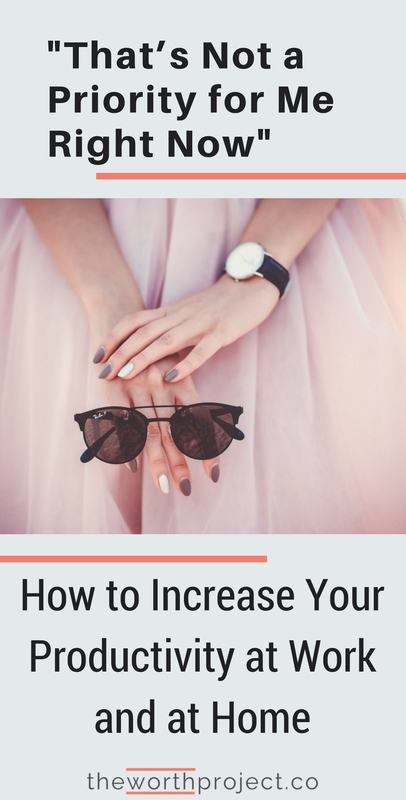 And what’s even better is that this not only helps you rein in your spending but also helps you take control of your time. 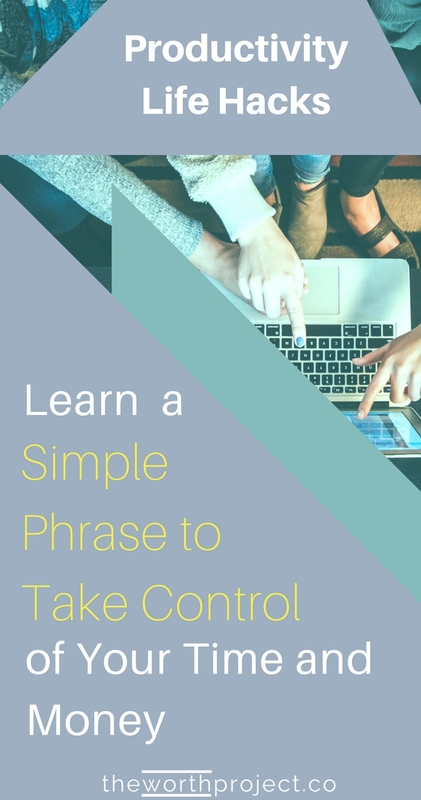 How to use this phrase in your career. 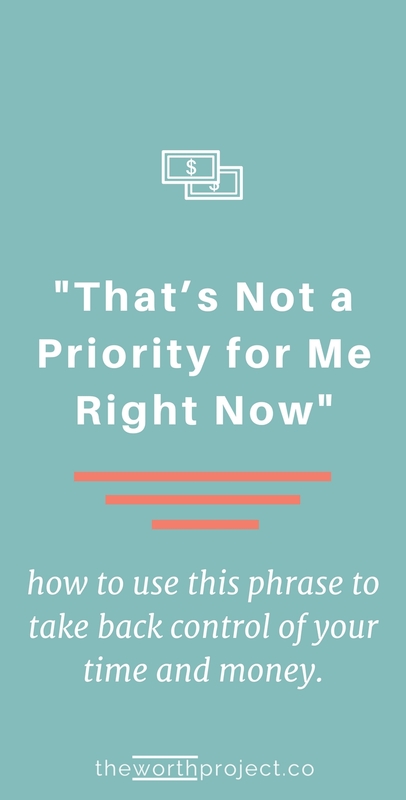 What (I think) he was not-so-eloquently saying was “what are the priorities right now?” What were the priorities for me in my career development and for the business? Everything else that wasn’t a priority could wait. It took me far too long to figure this out, but I’m glad I have it now. I wrestled with taking on a new client a few weeks ago. It would have been great for my bank account, but not great for my long-term goals or my short-term sanity. I felt wrecked by the idea of turning it down (who turns down money?). But when I put it in terms of my priorities, things shifted. Now, I know that work can’t only be about your personal priorities. It can be one of the priorities, but it can’t be the only one. Luckily, this phrase still works even when talking about a job that you must do. I was sitting in a quarterly review meeting last week with a business partner. Staring at a laundry list of to-do items and things that needed to happen yesterday, panic was setting in. There was too much. But instead of looking at this and thinking, “no one has time for any of this” while committing to working 12 hour days for the next 3 weeks, I pulled back. The conversation shifted and instead of doing all the things, we highlighted a few and focused on them hard. This simple phrase has helped me become so much more in control of my time, my career, and my money. From what I’ve understood by reading articles, you are currently freelancing in London, so this article must have been written before you moved? Hi Juliette! Nope, but great question! This article was written recently while living in London and freelancing, but it’s a strategy that I’ve used back in my corporate career and currently working for myself. It’s just as valuable in both situations!